Reed & Barton ~ Lyndon ~ 8 x 10" Silverplate Frame, Price $100.00 in New York, NY from William-Wayne & Co.
A classic beaded design highlights the Lyndon 8x10 Picture Frame from Reed & Barton. 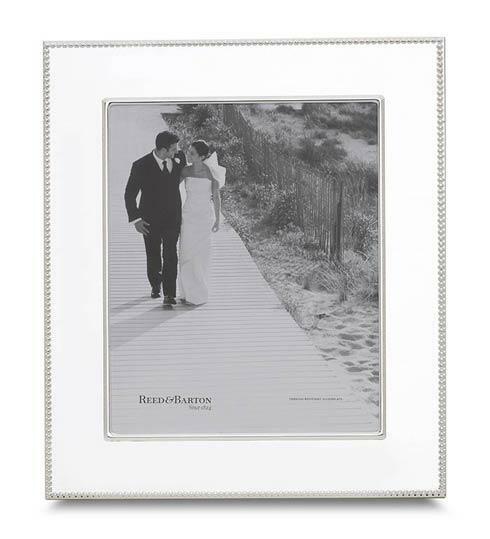 The right choice for decor, this silverplate picture frame also makes for a great gift or award and is perfect for wedding photos. Elegantly packaged for gift-giving.